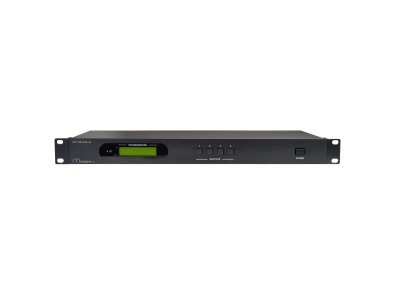 MPM-66-IR-N is a professional 4K 6x6 HDBaseT Matrix Switcher with 6 x HDMI Input (HDMI1.4 & HDCP2.2 compliant) and 6 x HDBaseT, 3 x HDMI Output with de-embedded audio, supporting 4Kx2K@60Hz & 1080P 3D, and controllable by front panel buttons, IR, RS232, or GUI. The HDBaseT outputs transmit 4K signal up to 131ft (40m), 1080P signal up to 230ft (70m) over single Cat5e/Cat6 cable. The Matrix Switcher supports PoC function, which makes no need of power supply at the receiver end. It also features EDID management. MP-HD-44A-N is a professional 4x4 HDMI Matrix Switcher that features Input of 4 x HDMI2.0 & HDCP2.2 compliant signals to output of 4 x HDMI1.4& HDCP1.4 compliant signals. It provides 4 auxiliary audio ports for de-embeded HDMI audio output. It also has powerful EDID management function which ensures reliable AV distributing and routing. Milestone's "HDMI Over CAT5" is used to substitute HDMI Cable to achieve long distance transmission. With single or two low cost CAT5/6 Cables we can extend HDTV sources from DVD Player, Blu-ray players, PS3, PC and any other TMDS Compliant Source to distant display monitors including HDMI enabled TV sets, LCD, PC, Monitors and/or Projectors. The resolutions that splitter supports are 720i, 720P, 1080i and 108P. They work on simple plug and play functionality. 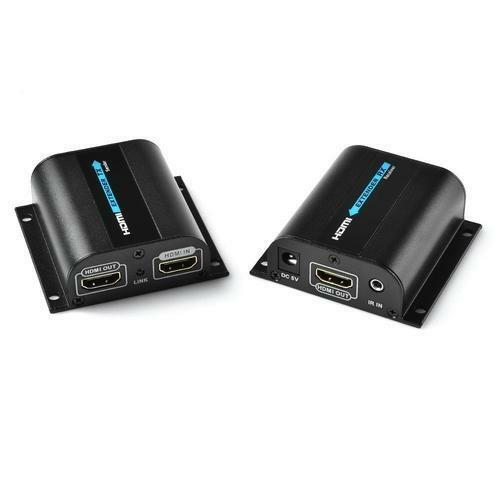 They connect to both HDMI and DVI-D single link Displays. HDT101 Transmitter can transmit HDMI Single source from LAN Switch to Multiple HDMI Receivers HDR101. Extends the transmission distance upto 100 Meters from the Source under 1080P. Provides independent DDC Channels, fully HDCP Compliant. Looking for “HDMI Matrix Switchers”?